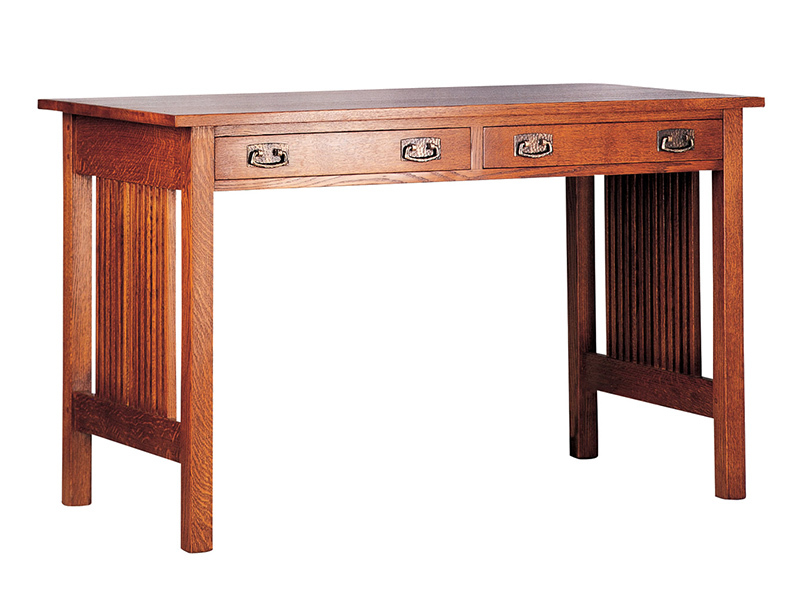 Library desk with spindle sides, perfect for desktop computer use. Fold down keyboard drawer on left side with mouse pad and writing tablet on right side for right-handed individuals. Fold down keyboard drawer on right side with mouse pad and writing tablet on left side for left-handed individuals. Both drawers feature Accuride® drawer glides. Available in solid oak or cherry.